The Food Hydrator will help you preserve your food for longer than you can imagine. You can dr.. The 360 degree heat cycling system ensures that every food tray is given the right amount of h..
Making your favourite healthy dried foods snack is easy with the Multi-tray Food Dehydrator. J.. 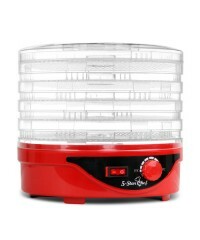 This Large Food Dehydrator features a large capacity, 10 trays and 3D Hydration. With Stainles.. 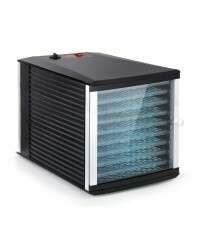 This Large Food Dehydrator features a large capacity, 8 trays and 3D Hydration. With Stainless..